This outfit is probably my favourite thing to wear at the moment. I love my pretty girly shoes and feel like a school girl in them, I had a Clarks pair nearly identical to these as a kid. I lusted after this Zatchels bag for ages and finally took the plunge when they had a sale earlier this year and have used it pretty much every week since getting it. 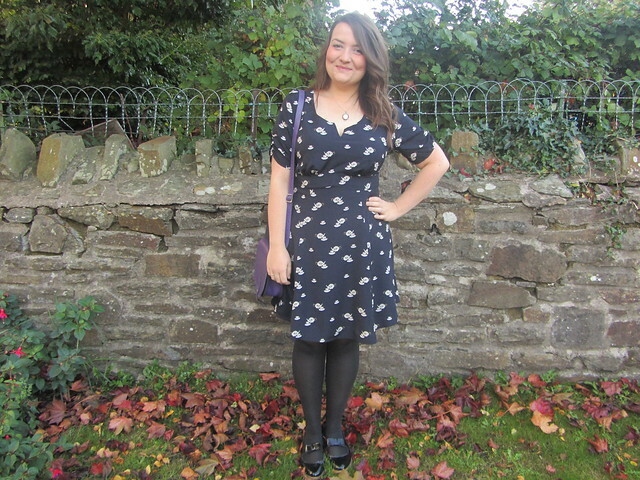 My new tea pot and tea cup print dress is my ideal dress, I'm so happy with it. It's got sleeves so I don't need to bare my arms or over heat in a cardigan, it's not too short so I can wear it to work and it's has such a fun print. Smitten. 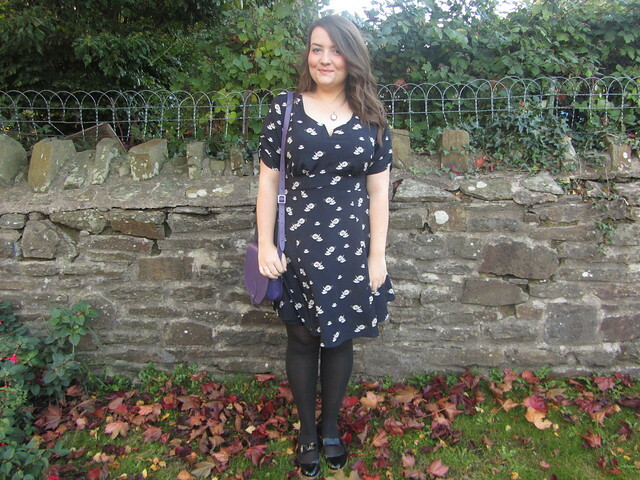 I know Sarah has this dress too so if you pop over to her blog you can see how she styled it. It's not very roomy on the bust and waist so if you're blessed in that department you might want to size up. I've just entered a competition on facebook to win two dresses from the Little Mistress Paper Dolls collection, if you're interested (who wouldn't be?) you can enter here. I'm currently on the lookout for a dress for my trip to London next week but I'm on a budget, I need something I can wear all day but look fairly glamorous in the evening. Any ideas? such a cute dress, I love the way you have styled it, Sarah's also looks great too! Ah Gem you have the best selection of dresses! Oh I reeally want this dress!! This outfit is stunning, I love the print on the dress and those shoes are cuuuute!